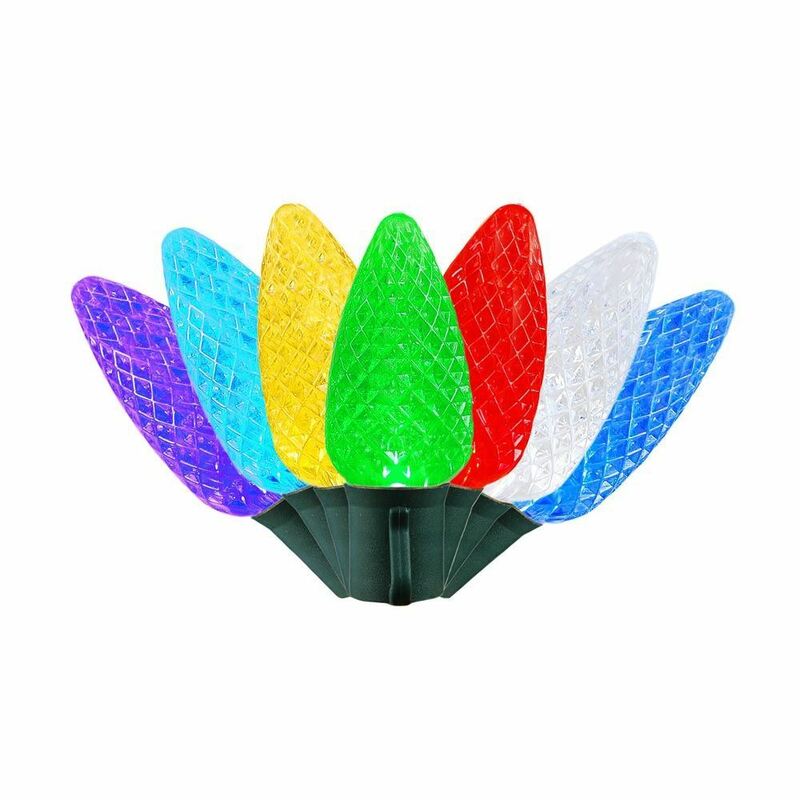 Use our C9 color changing LED Christmas lights to create bold outdoor Christmas light displays. These energy efficient C9 LED light bulbs are beautiful, super bright, versatile, and will shine for 50,000 hours. The color change automatically and consist of Pure White, Red, Blue, Green, Teal, Yellow and Purple. Incandescent C9 bulbs can easily be swapped out of your old strands for these energy-saving retrofit LED C9 bulbs. The reasoning is to save you money; incandescent bulbs use significantly more power than LED bulbs and are much more fragile than these sturdy, multifaceted LED bulbs that do not break, chip, or fade. These color changing LED C9 bulbs screw into our C9 Stringers (25' & 100'), our commercial grade bulk 1000' C9 spools as well as our vintage Twisted Wire Strings with E17 Bakelight Sockets.